Key West Pride is an awesome annual event in downtown Key West. 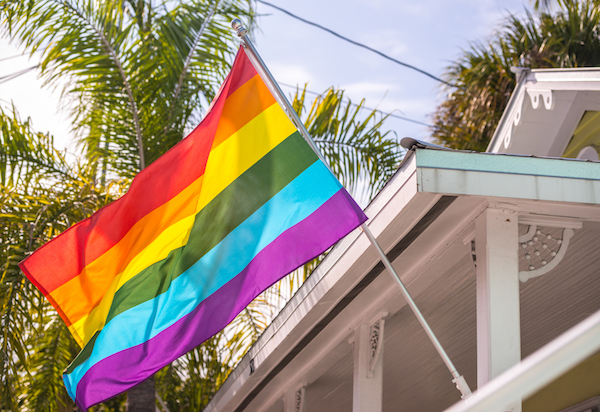 Every June, the entire Key West community comes together to celebrate Pride. Each and every year, Key West Pride gets bigger and better. This year, there will be free play readings, talent shows, pool parties, a street fair, and, of course, a Key West Pride parade. We’re a small town, so the Pride parade has a small-town feel, but with big surprises. During pride, you can party with friends, take in the street scene, and learn about our open community. Get lost in the magic of our tropical island and rediscover what Key West is all about. 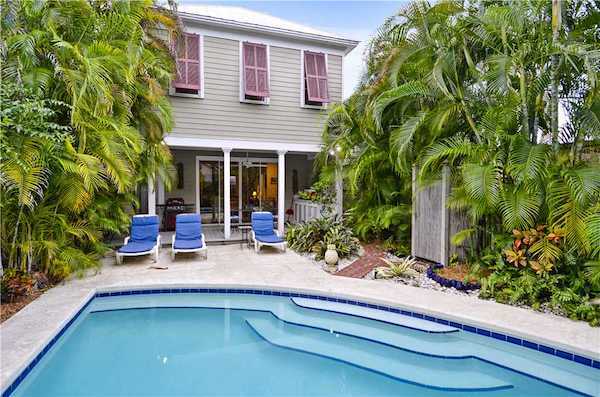 Key West’s One Human Family philosophy has created one of the most integrated and unique communities in the world. The schedule for Key West Pride 2019 will be updated as soon as details are available. For now, check out the 2018 schedule below to get an idea for the events that usually take place, and remember to reserve your Key West vacation rental now. 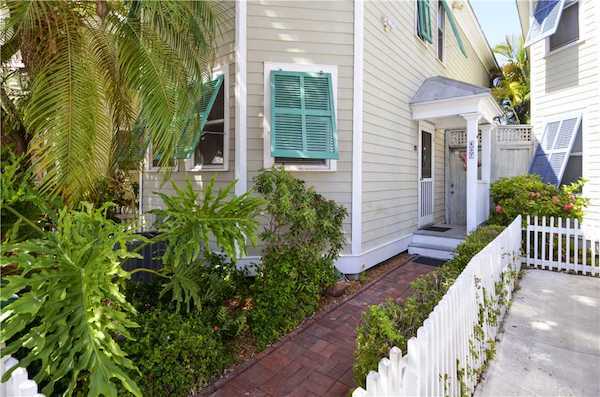 5:00 pm – Island House – Key West Pride and Key West Stoli Classic Championship Kickoff Celebration – All Welcome. 8:00 pm – 801 Bar-Cabaret – Miss Pride. 1:00 – 4:00 pm – Pride Pool Party Equator Resort – Men Only. 4:00 – 6:00 pm – Gardens Hotel – Free Wine Tasting and 10% off a wine bottle. 7:00 pm – 801 Bar Cabaret – Ms. Key West Pride 2018. 12:00 pm – Pool Party, Island House – Singles, Couples & Thruples OH MY! – Men only event. 6:00 pm – Waterfront Playhouse – Gross Indecency: The Three Trials of Oscar Wilde. 8:00 pm – Bourbon St Pub – Key West Pride’s Top Performer Contest. 10:00 am – Key West Pride Street Fair. 12:00 pm – Bourbon St Pub – Pride Pool Party. 2:00 pm – The Gate Hotel – Foam Party at Sunset Green Event Lawn. 5:00 pm – Rum Bar – Rum Tasting. 8:00 pm – Studios of Key West – Miss Paradise Florida: A Preliminary pageant for Miss Florida. 10:00 pm – Bourbon St Pub Purgatory Party – Men Only. 11:00 am – MCC Pride Service. 11:00 am – Unity of the Keys Pride Service. 4:00 pm – 801 Bar-Cabaret - Pride Karaoke. 5:00 pm – Key West Pride Parade. 7:00 pm – La Te Da – Tea Dance – Check Presentation of Soli Key West Championship Charity. Since the events are located in areas with very limited parking, we recommend the most popular way of transportation in Key West, by bike. We now have Uber and Taxis are always available as well. If you still decide to drive, there are plenty spots with metered parking close by. 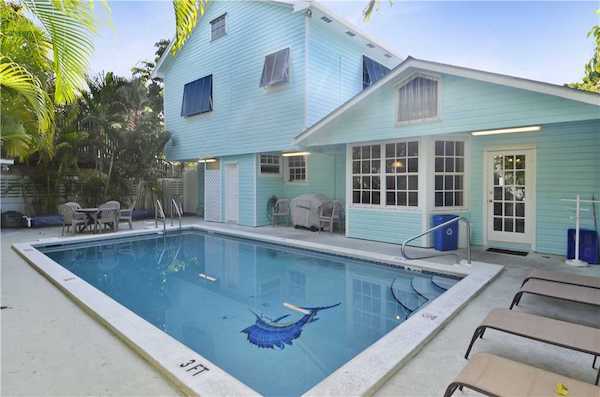 We've got great vacation rentals for Key West Pride. 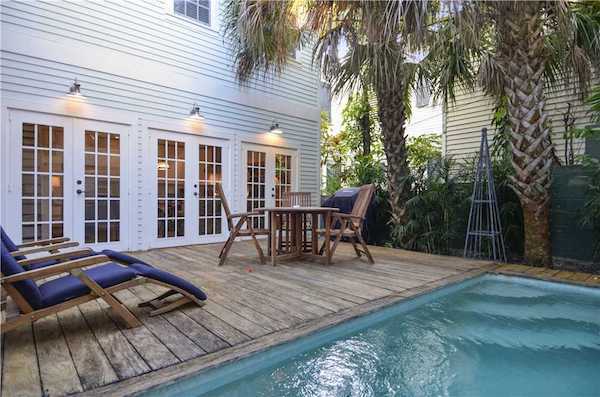 Here are some of our favorite vacation rentals. Thanks for checking out Key West Pride 2018. We look forward to seeing you soon!